So, you’re in desperate need of a new car! But, unfortunately, your credit record is a little less than healthy… What to do? Well, thanks to Earn-A-Car, a poor credit record is no longer an obstacle! We offer the best vehicle finance to people with low credit scores, helping them to get on the road with less hassle – and a whole lot of other benefits! At Earn-A-Car, we do things a little differently! Which is why we are able to help people who are buying a car while being blacklisted. Most vehicle finance companies essentially lend you the money to purchase a car in your name. They will look at your credit score. If you have a poor credit record, they will decline your application for vehicle financing. Earn-A-Car, on the other hand, offers rent-to-own vehicle financing. This means that Earn-A-Car owns the car for the duration of your rental agreement. There is less risk, you get wheels, and, at the end of the lease period, you have the option to purchase your car! How Can You ‘Earn’ Your Car? When you take advantage of one of our fabulous rent-to-own deals, we give you R300 cash back for every successful monthly rental payment you make. At the end of your rental period, we pay out this money to you in a lump sum. Best of all, the lump sum can be used to settle any outstanding amount or for you to spend. 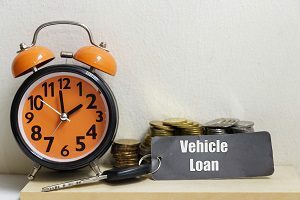 Of course, you may use the lump sum for anything you like – but it’s a pretty nifty way to purchase a car if you have been struggling to get approved for vehicle finance in South Africa. So much more to ensure that you have peace of mind with regard to your vehicle’s maintenance and safe-keeping. As long as you are permanently employed and can afford a small admin fee as a down payment, you can get the best vehicle even if you have a bad credit record. For information on how to apply, contact us today.